The Alumni Association unites our graduates from all years, programmes and countries with the aim of providing lifelong contact between friends and fellow students. Stay in contact with your friends and colleagues, as well as with all the changes at Prague College well into the future. 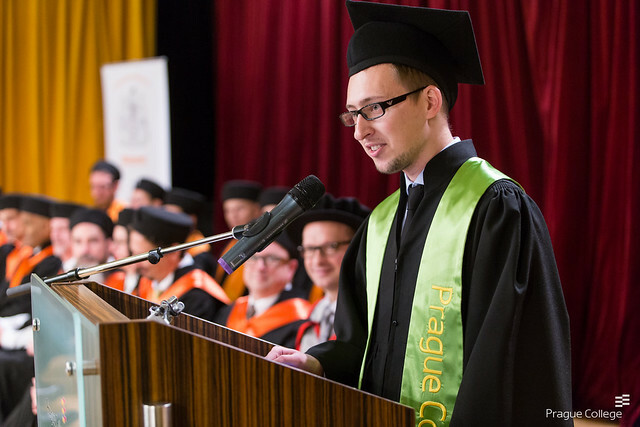 A graduate of Prague College becomes a member of the Alumni Association upon successful completion of an undergraduate or postgraduate programme. Alumni are key to our long-term development goals: academic excellence, promoting practical education, ensuring employment, enhancing research and creative initiatives, and engaging the wider community in the Czech Republic and around the world. There’s no official signup, membership is automatic for all those who have graduated from a Prague College programme. However, in order for us to keep you informed of activities, we need your help keeping your contact details up to date. For this purpose you can contact Alex Went, Head of Communications at Prague College. Or simply update your details on this online form.